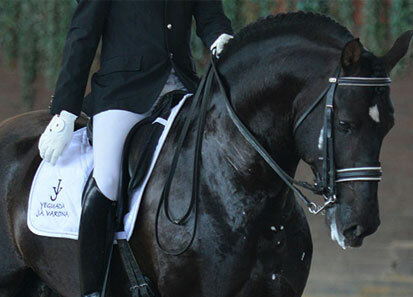 suitable for competition in Classical Dressage. 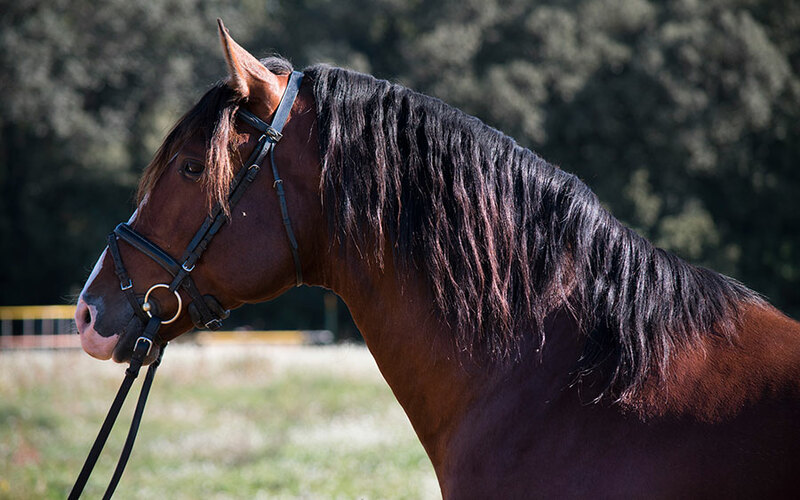 Currently, at our stud we host the horses Úbedo AM (Aquilino Moya) and Armas Zelindo (Plaza de Armas), as well as Vulpex (Camacho Benitez), chosen mainly for its first-rate functional genetics. 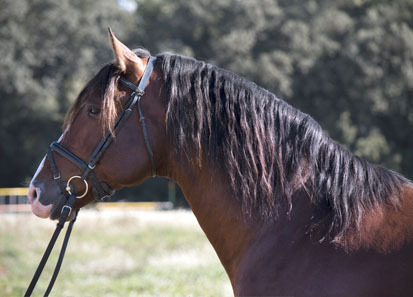 ÚBEDO AM is the offspring of CHILENO IV (José Luis de la Escalera), several times CHAMPION OF BEST MOVEMENTS and also holder of 13 medals in breeding championships (6 of them gold). 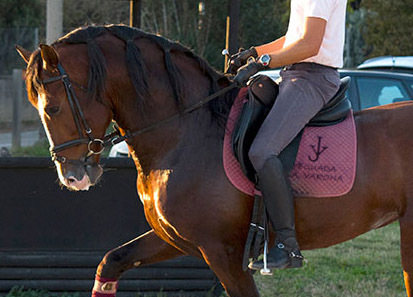 The genealogical chart of ARMAS ZELINDO dates back through NAVARRO VI three times to the great ALBERO II (possibly the best line of sport in STH). 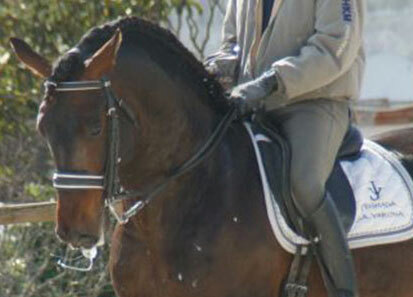 As for VULPEX (by Camacho Benítez’ iron), it is the offspring of ARMAS TARUGO (Spanish functionality champion). 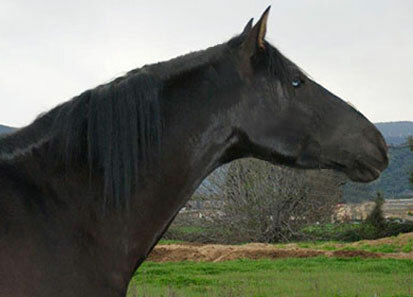 It has a black coat and shoed rear hooves, with regard to its physical attributes it is said that it has a marked girth, rangy and angular back, with a long neck that is perfectly inserted to an excellent cross-section, it has a powerful dorsal-lumbar region, rounded off with a very sporty rump, their limbs, its poise both in the posterior and anterior regions, is highly correct and the animal has a large bone diameter. In short, its genetics can be likened to that of ALBERO II line and 100% pure. 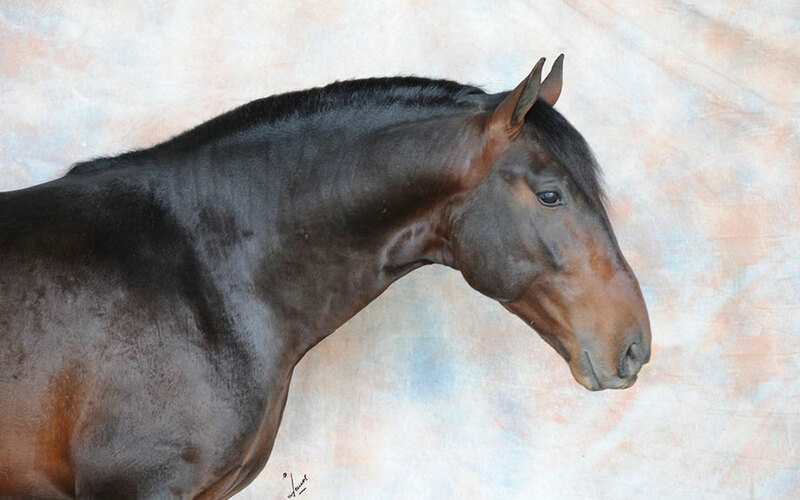 Offspring of ARMAS TARUGO and considered an exemplary with great rear force, with very good suspension time in his trot and raised on its hind legs, his canter is very flouncy and uphill. 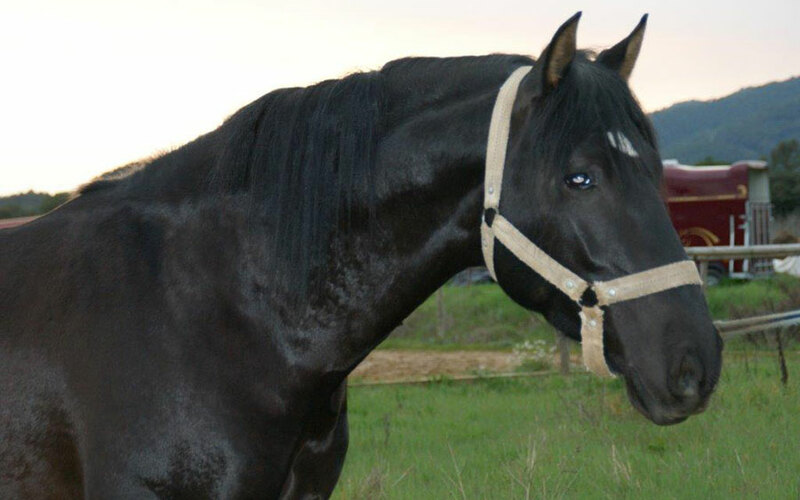 It comes from the Camacho Benítez livestock farm from where winners never cease to appear. 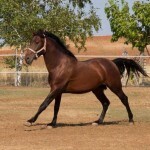 Stallion with a great future, both due to his excellent physical and its three airs, good pace, elevated trot and jumped canter. 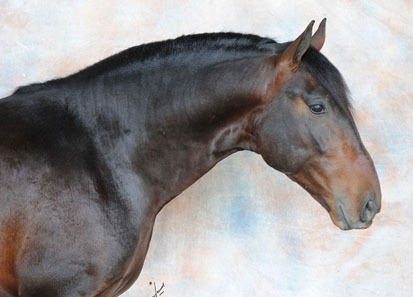 Great top line where the cross-section stands, good back, powerful rump, strong and flexible hocks. All this topped off with very broad shoulders and long bones into its limbs.